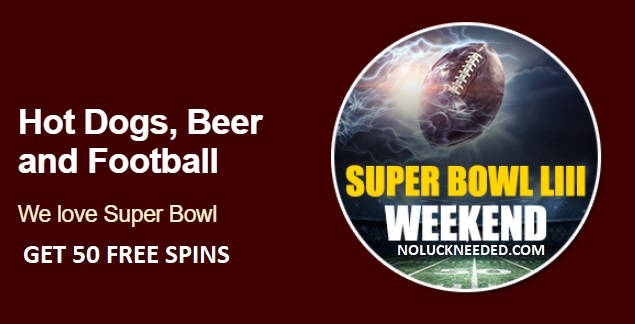 February 2019 Free Chip Coupons, Free Spins Codes, and Private Freeroll Passwords for Grande Vegas Casino! Make February your lucky month and play the hottest online slots and pokies at Grande Vegas Casino with free chips, free spins, and freerolls! February 2019 depositors at Grande Vegas can claim loads of February freebies, Valentine's Day free spins, and free chips with the no deposit bonus codes listed below and new free no deposit bonus coupons will be added to the list as they are released this month. 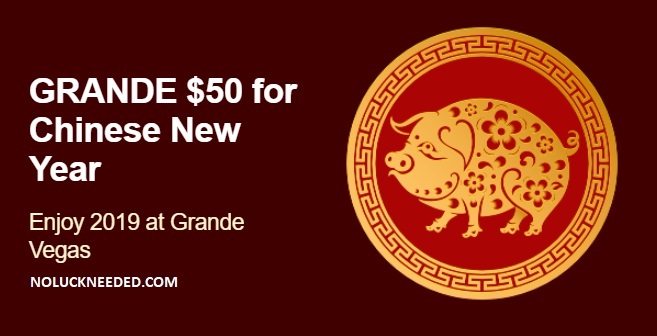 Please share your own Grande Vegas Casino bonus codes in the comment section below. Good luck! General Terms & Conditions apply. The maximum payout is $180. Max bet rule. This bonus is only valid for customers with a deposit in the last 15 days. Do not claim two free bonuses in a row. This bonus code is valid until March 7th, 2019. A deposit within the last 15 days is required to redeem your $50 free bonus. It's also possible to deposit today and redeem your $50. $180 Maximum cashout rule; 60x wagering. $10 Max bet rule applies. Players are not allowed to use 2 free bonuses in a row. General Terms & Conditions apply. This bonus is valid until March 15th, 2019. General Terms & Conditions apply. The maximum payout is $180. Max bet rule. This bonus is only valid for customers with a deposit in the last 15 days. Do not claim two free bonuses in a row. This bonus code is valid until February 28th, 2019. General Terms & Conditions apply. The maximum payout is $180. Max bet rule. This bonus is only valid for customers with a deposit in the last 15 days. Do not claim two free bonuses in a row. This bonus code is valid until February 14th, 2019. A deposit within the last 15 days is required to redeem your $50 free bonus. It's also possible to deposit today and redeem your $50. $180 Maximum cashout rule; 60x wagering. $10 Max bet rule applies. Players are not allowed to use 2 free bonuses in a row. General Terms & Conditions apply. This bonus is valid until February 8th, 2019. Use coupon code ROOSTER-BOWL and enjoy 50 free spins on Kung Fu Rooster. Please note: A deposit within the last 15 days (including today) is required to redeem your free spin. Terms and Conditions apply. This bonus is valid until February 4th. 60x wagering requirement; $180 max cashout, $10 max bet. General Terms & Conditions apply. The maximum payout is $180. Max bet rule. This bonus is only valid for customers with a deposit in the last 15 days. Do not claim two free bonuses in a row. This bonus code is valid until February 7th, 2019. General Terms & Conditions apply. The maximum payout is $180. Max bet rule. This bonus is only valid for customers with a deposit in the last 15 days. Do not claim two free bonuses in a row. This bonus code is valid until January 30th, 2019. Birthday free chips are sent to depositors each year and can range from $10-$250. $10 max bet; Do not use two free codes in a row. General Grande Vegas Terms & Conditions apply. max cashout varies; 60x wagering on slots. Claim your February Free Spins & Free Chips at Grande Vegas Casino! Everybody with a valid deposit between February 1st and February 14th can use coupon code "14-EXTRA" right now get $140 extra. Please note: The maximum payout for this bonus is $250. Terms & Conditions apply. This bonus is valid until February 17th. Please note: Terms & Conditions apply. February 4th. Go to the cashier's 'Redeem Coupon' section and enter the coupon code before making a deposit! No maximum cashout. General Terms & Conditions apply. Slots wagering requirement applies. This bonus is valid until February 14th, 2019. No max cashout. 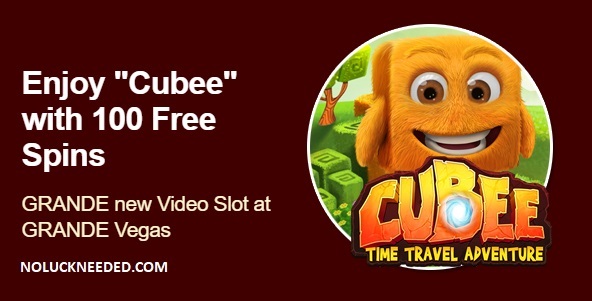 Go to the cashier's 'Redeem Coupon' section and enter the coupon code CUBEE-TOP before you make a deposit! General Terms & Conditions apply. This bonus is valid until February 28th. Playthrough of your free spins is 25 times only. 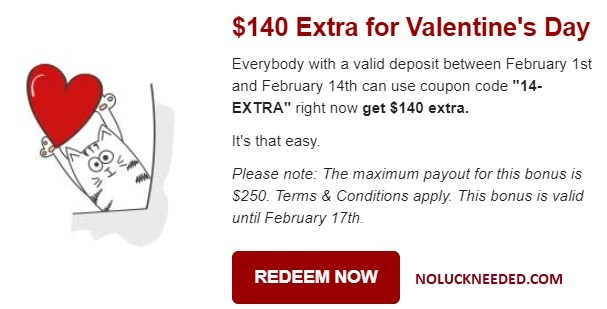 Use coupon code 14-LOVE and enjoy $14 totally for free. That's it. Please note: Terms & Conditions apply. This bonus is valid until February 17th. Use coupon code 14-SWEET and enjoy 140% up to $280 and 25 free spins for Sweet 16 on top. The playthrough of your free spins is 10 times only! Use this coupon code up to 5 times! No maximum cashout; slots wagering requirement applies. General Terms & Conditions apply. This bonus is valid until March 15th, 2019. Go to the cashier's 'Redeem Coupon' section and enter the coupon code before making a deposit! No maximum cashout. General Terms & Conditions apply. Slots wagering requirement applies. This bonus is valid until February 28th, 2019. Use this coupon up to 3 times. 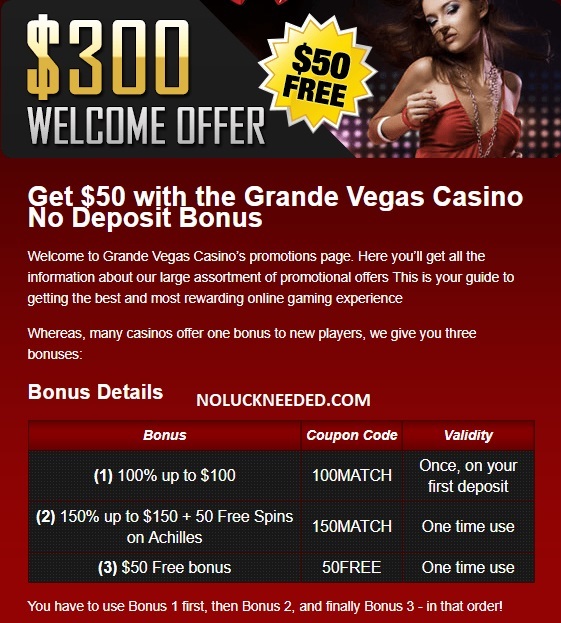 Grande Vegas Terms & Conditions apply; slots wagering requirement, $10 max bet. This bonus is valid until 10 March 2019.